Content marketers are facing a new challenge, marked by the emergence of LinkedIn this month as a fully-fledged content marketing platform. Every member of LinkedIn will soon have a privilege formerly reserved only for those 500 people who LinkedIn anointed as “influencers”, such as ANZ CEO Mike Smith, Telstra CEO David Thodey, and entrepreneur Richard Branson. Within months, we will all be able to post long-form blogs on LinkedIn. We are all now influencers – all 300 million of us. The practice of posting a comment with a link to content that leads readers off the LinkedIn platform will become a thing of the past. Or, at least, that is what Matt Tindale, LinkedIn’s director of marketing solutions for Australia and New Zealand, hopes. LinkedIn has inserted itself into territory defined and staked out by Google as the arbitrator of quality content. For content marketers, this fragmentation of the forum for posting content is a headache as much as an opportunity. Do we stick to posting on our own website or blog, do we switch to posting on LinkedIn, or are we going to have to do both – doubling our effort? Until now, Google’s search algorithms have dictated the emergence of content as a significant marketing tool. Yes, content is brand-building and creates trust and engagement with customers. But would brands do it if content marketing had not replaced search engine optimisation (SEO) as the way to hit the top of the organic search results on Google? Arguably, there would be no point. It is Google’s obsession with quality content that is behind the content marketing revolution. 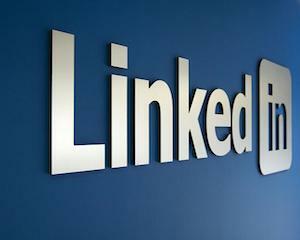 Started by former Apple executive, Reid Hoffman, in 2003 as a kind of Facebook for professionals, LinkedIn has now transformed into a content marketing platform. When Tindale joined LinkedIn last year, it was because he saw the company’s future as a content platform. He has ridden the growth of digital marketing in his roles at media companies, particularly at MCM Media and Austereo, where he “developed a love” of branded content. “My role at LinkedIn is arguably the fruition of the two,” he says. With over 300 million members – six million of them in Australia – LinkedIn has something special to offer as a publishing platform: incredibly accurate data about the individuals who use it. This means publishers can target their content at an audience with a precision unavailable to them on the world-wide web – if we are willing to pay. “LinkedIn is a leader in the digital space, one that offers scale, and incredible accuracy in its membership data,” Tindale says. Research shows LinkedIn has some big advantages over social media platforms, Tindale says. When companies post content (there are 3.5 million active company pages), they garner willing followers, Tindale says. LinkedIn commissioned research company TNS Global to find out more about the “mindset” of LinkedIn members when they read content. “Where brands are sending content, 80% of APAC LinkedIn members either follow or intend to follow a company,” he says. And here’s the clincher. On a professional network, readers are 30% more likely to want to hear from a brand, the TNS research found. But how will they find us? I know: sponsored updates! With 300 million members writing content, how will we ever be heard? It’s back to the old problem of standing out from the crowd. LinkedIn already decides what content to serve its members, but you can also pay to have your updates sponsored, and distributed to your target audience. You define your audience and pay when a reader clicks on your update. Tindale will not discuss the costs for sponsoring, but some websites have reported that the cost per click can be as high as $3 or $4. Any content can be sponsored – there are no editorial criteria – sponsored updates are clearly labelled, and members have the option to hide sponsored updates if they don’t find them relevant or interesting. The most popular content falls into three categories: information about how to advance your career, updates from brands, and current affairs. Tindale advises us to write about our passions, our areas of expertise. Oh, and it needs to be read in less than two minutes. I love uncovering content marketing innovators, and AroundYou is my latest discovery.